Some time ago I wrote about Rebrandable Traffic, but now my opinion is clearer. Your webpages can receive a traffic for a fee, but not "quality" traffic, no conversion or whatsoever. You purely receive traffic from organic sources to bring in the number. Guaranteed web traffic, but is there a point to this? Absolutely pointless and unnecessary if your site is already established. It only comes in handy for your brand new website where you want to receive a decent amount of visitors daily - or you want to prove to someone that it's receiving a decent amount of visitors. Am I saying "use Rebrandable Traffic to fake the visitor number just so that you can join affiliate networks"? Yes. You will not be lying, you are receiving a traffic, and if that's the measurement, that's what it is. You also start receiving invitations from various retailers asking you to try their products in exchange for a commission​, or something similar in return, as your visitor number grows. People do sneak check the numbers. Needless to say, large number of web traffic will help boost your Alexa ranking. Whether the "visitors" from Rebrandable Traffic are bots or humans who are paid to visit your site, is not clear. But they all come from different IP addresses all over the world (thousands of locations), they make sure to stay in your page for at least 20 seconds and often click a link to visit another page of yours. Though they don't stay for more than 2 minutes, which probably won't help with your Google ranking position. The whole thing is vain, isn't it? Just like a Twitter account with 250k bot followers. You build a website for a purpose... But you do get similar results with many other traffic providers anyway. Their resources, locations or advertising connections - whatever they claim may sound legitimate, you never know if the traffic they're sending includes bots or not. Not for that kind of price. 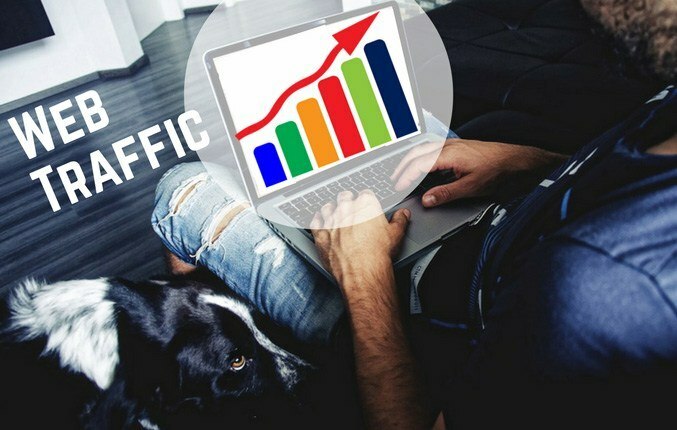 If you need a traffic that actually converts, using an email solo ad service is effective but you pay $0.35 - $0.85 per visit to your page, or even higher for genuine targeted traffic. So you can see why you cannot expect a conversion from services like from Rebrandable Traffic, the prices of which they offer as shown below. Periodically Rebrandable Traffic offers 50% off sale (sometimes 30% off). And it is on sale right now - if you're interested in boosting your site ranking in Alexa particularly, it may be worth a try. It is a "guaranteed web traffic" that they provide after all.